Many people love the summer months that give them the opportunity to flaunt a little more skin in sundresses, shorts, tanks, and skirts – allowing them to cool down while also looking fashionable. However, many others find they are extremely self-conscious to expose certain areas of their skin, choosing to remain covered up despite the oppressive summer heat. The human body is a complicated machine in which many different factors play a role in how the body looks, how easily it is to get in shape, and how much fat the body holds on to. Genetics play a huge role in every person’s body, making “trouble spots” different for everyone. There are some people who live at the gym and who still struggle with saddle bags or a lower abdomen pooch, while there are others who barely exercise at all and remain stick thin. Liposuction is a cosmetic procedure that has helped millions of adults remove pockets of stubborn fat in order to enhance the shape of their body. Liposuction was originally designed to treat thin patients who had a trouble spot that was not improved by diet or exercise. Today, many people think of extremely obese patients desiring liposuction procedures, but it is the thin patients who tend to find amazing results through this procedure. 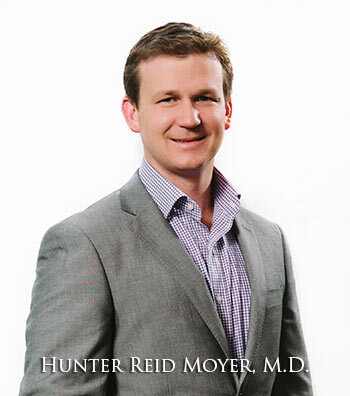 Hunter Moyer, MD, understands that each liposuction patient is different. While many doctors will turn away thin patients, Dr. Moyer understands that some patients struggle with stubborn, disproportionate areas of fat that refuse to go away no matter how hard a patient works. Dr. Moyer works with each patient on a personalized basis to determine the exact needs to achieve the desired results. Many thin patients with trouble spots will visit other cosmetic surgeons and be turned away and told that they are not good candidates for liposuction. They are told to just eliminate more fat from their diets and to work harder at the gym. However, when genetics play a role in stubborn fat deposits, Dr. Moyer understands that using liposuction for its original intention can help thin patients achieve incredible results. If you are a thin patient who struggles with saddle bags, a bulge of fat on the lower abdomen, “love handles,” or other areas of disproportionate fat, please contact Dr. Hunter Moyer today. Through a private consultation, you and Dr. Moyer can plan a strategy to achieve your desired results.